The World Learning Summit 2017 starts with a reception at the MakerSpace in Kristiansand today! All Conference participants are kindly invited to join: The MakerSpace is located within the city center and walking distance to the various hotels, this is an opportunity to just meet and get acquainted. This is a first great occasion to get together, network and potentially discuss issues concerning the summit, the workshops, and so on. The programming is very light, with some light snacks and other refreshments. There will be a brief introduction to the MakerSpace venue, by the founder. 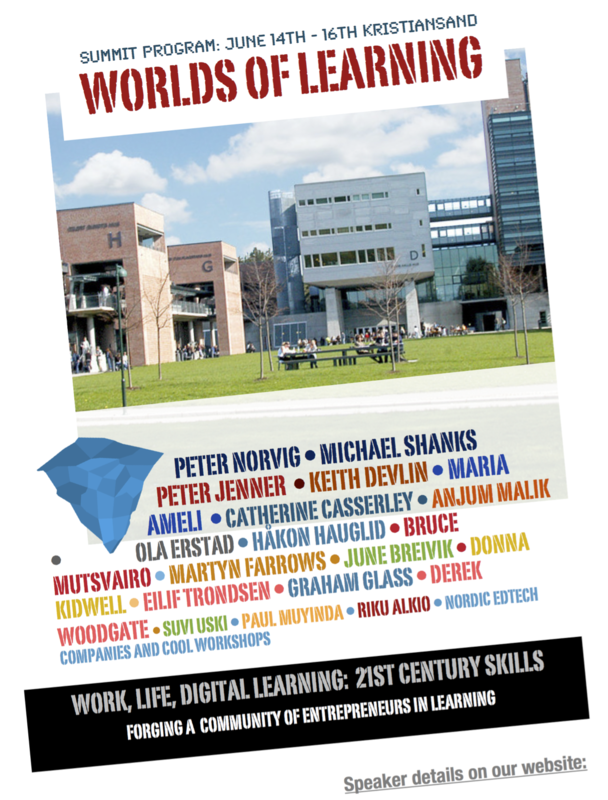 There will also be a short introduction to the World Learning Summit vision and ideas. WLS 2017 is the merger of the annual events of the World Learning Summits and LINQ Conferences.